No books dealing with a comprehensive illustration of the fast developing field of nonlinear analysis had been published for the mathematicians interested in this field for more than a half century until D. H. Hyers, G. Isac and Th. M. Rassias published their book, "Stability of Functional Equations in Several Variables". 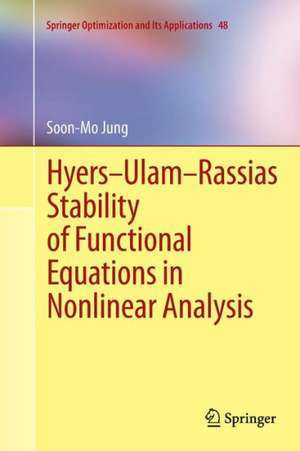 This book will complement the books of Hyers, Isac and Rassias and of Czerwik (Functional Equations and Inequalities in Several Variables) by presenting mainly the results applying to the Hyers-Ulam-Rassias stability. Many mathematicians have extensively investigated the subjects on the Hyers-Ulam-Rassias stability. This book covers and offers almost all classical results on the Hyers-Ulam-Rassias stability in an integrated and self-contained fashion. -1. Introduction. -2. Additive Cauchy Equation (Behavior of additive functions, Hyers-Ulam stability, Hyers-Ulam-Rassias stability, Stability on a restricted domain, Method of invariant means, Fixed point method, Composite functional congruences, Pexider equation, Remarks). -3. Generalized Additive Cauchy Equations (Functional equation f(ax+by)=af(x)+bf(y), Additive Cauchy equations of general form, Functional equation f(x+y)2=(f(x)+f(y))2). -4. Hosszủ’s Functional Equation (Stability in the sense of Borelli, Hyers-Ulam stability, Generalized Hosszủ’s equation is not stable on the unit interval, Hosszủ’s functional equation of Pexider type). -5. Homogeneous Functional Equation(Homogeneous equation between Banach algebras, Superstability on a restricted domain, Homogeneous equation between vector spaces, Homogeneous equation of Pexide type). -6. Linear Functional Equations (A system for linear functions, Functional equation f(x+cy)=f(x)+cf(y), Stability for other equations).-7. Jensen’s Functional Equation (Hyers-Ulam-Rassias stability, Stability on a restriced domain, Fixed point method, Lobačevskíí;s functional equation). -8. Quadratic Functional Equations (Hyers-Ulam-Rassias stability, Stability on a restricted domain, Fixedpoint method, Quadratic functional equation of other type, Quadratic functional equation of Pexider type). -9. Exponential Functional Equations (Superstability, Stability in the sense of Ger, Stability on a restricted domain, Exponential functional equation of other type). -10. Multiplicative Functional Equations (Superstability, δ-multiplicative functional, Theory of AMNM algebras, Functional equation f(xy)= f(x)y, Functional equation f(x+y)= f(x)f(y)f(1/x+1/y)). -11. Logarithmic Functional Equations (Functional equation f(xy)= yf(x), Superstability of equation f(xy)= yf(x), Functional equation of Heuvers). -12. Trigonometric Functional Equations (Cosine functional equation, Sine functional equation, Trigonometric equations with two unknowns, Butler-Rassias functional equation, Remarks). -13. Isometric Functional Equation (Hyers-Ulam stability, Stability on a restricted domain, Fixed point method, Wigner equation). -14. Miscellaneous (Associativity equation, Equation of multiplicative derivation, Gamma functional equation). -Bibliography. -Index. …I am more than happy to write my opinion on Soon-Mo Jung’s book, as a new addition in this rapidly growing field of mathematics, which will help interested mathematicians and graduate students to understand further this beautiful domain of research… The book contains 14 chapters…concludes with a very useful bibliography of 364 references and an index. It will definitely guide mathematics students to a decisive first step into this abstract, yet intriguing, field of mathematics. The author has succeeded in presenting to both mathematicians and graduate students an invaluable source of essential mathematics. 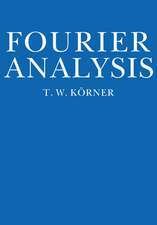 The book will certainly before a standard reference for stability of functional equations in nonlinear analysis. Soon-Mo Jung is a highly respected mathematician who was born in 1957 in Seocheon, South Korea. He received his BS in Atomic Nuclear Engineering at the Seoul National University and received his BS, MS, and PhDs in Mathematics at the University of Stuttgart. Dr. Jung has published approximately 150 research papers in the areas of functional equations, classical analysis, analytical geometry, measure theory, fractals, number theory, and algebra, and has published 5 books. This present volume will be his first book published with Springer. 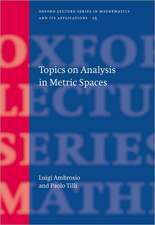 However, Soon-Mo has contributed papers to several edited volumes and journals such as “Nonlinear Analysis and Variational Problems” (SOIA 35), Acta Mathematica Sinica, Bulletin of the Brazilian Math Society, Proceedings Mathematical Sciences, and Journal of Central South University of Technology. This textbook at the advanced undergraduate/graduate level will complement the books of D.H. Hyers, G. Isac, and Th.M. Rassias (© Birkhauser 1998) and of S. Czerwik (2002) by integrating and presenting the primary developments applying to almost all the classical results of the Hyers-Ulam-Rassias stability. 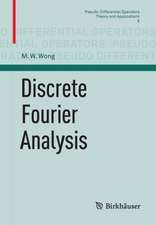 The self-contained text is presented in an easy to understand fashion and all the necessary materials and information are included in order to appeal to a diverse audience with interests in difference and functional equations and functional analysis. Highlights of the text include discussions of the method of invariant means and the fixed point method, the stability problems for the exponential functional equations, Hyers-Ulam stability, Hyers-Ulam-Rassias stability, Pexider equation, and superstability of the exponential function. All the necessary materials and information are included in this book .